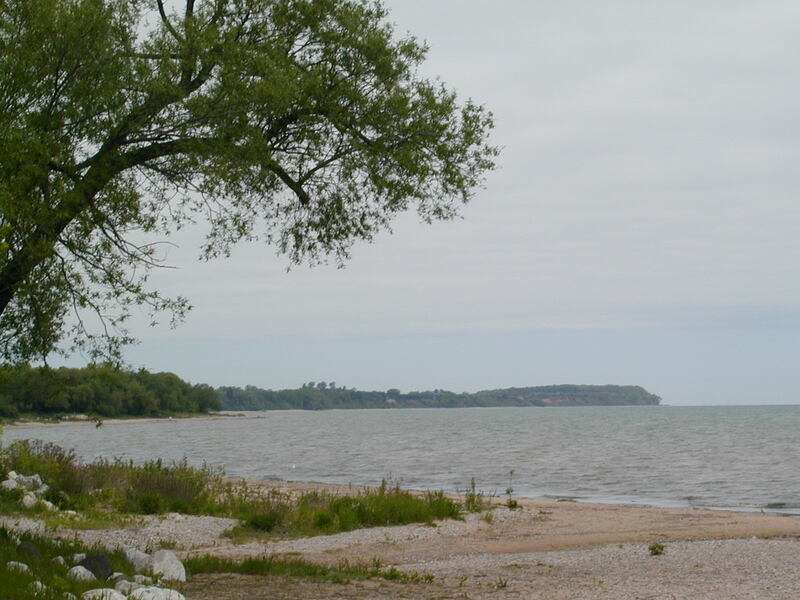 In the summer of 2003, I went up to Green Bay (the body of water, not the city) and Door County. From Winfield, I basically just followed the interstates to Milwaukee, and then kept the lake in sight for most of the rest of the trip. 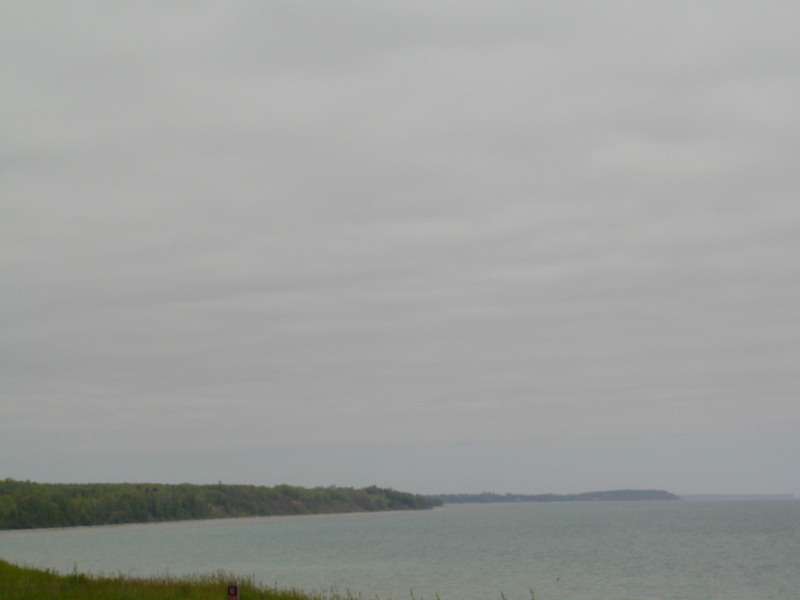 In the northern fringes of Door County, I turned back and took US 41 back home. Happy viewing! 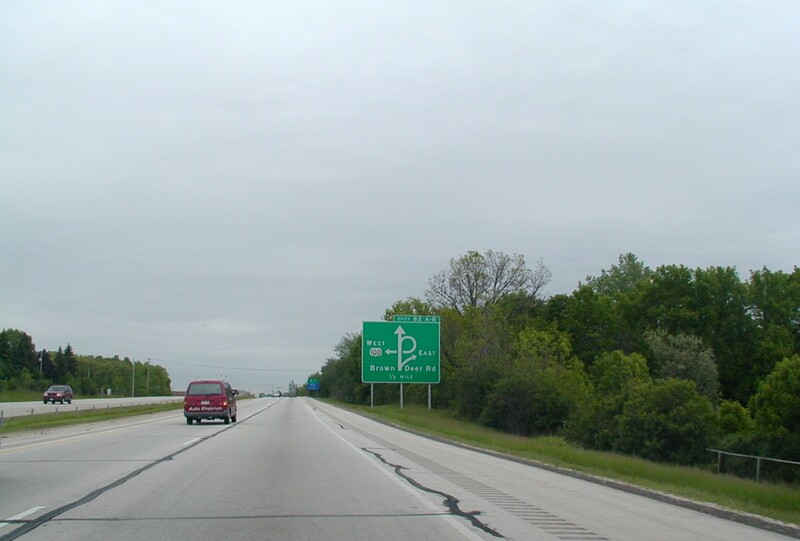 I-94 NB in southern Wisconsin. 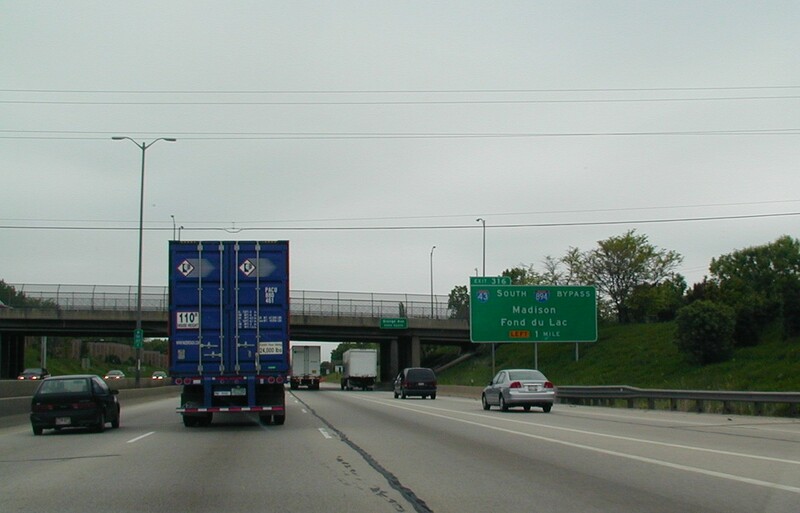 I-94 from Chicago to Milwaukee is at least 6 lanes at all times and has pretty heavy traffic even in the rural areas. 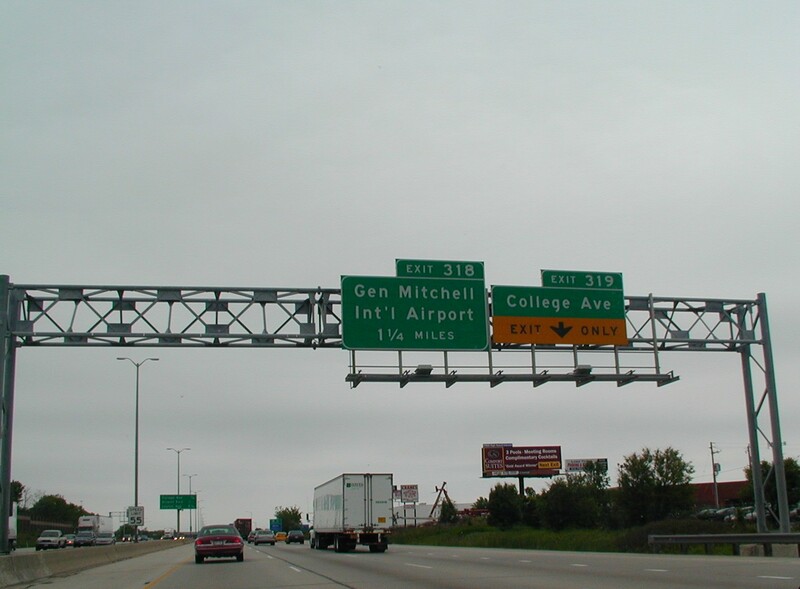 This is the exit for Milwaukee's international airport. 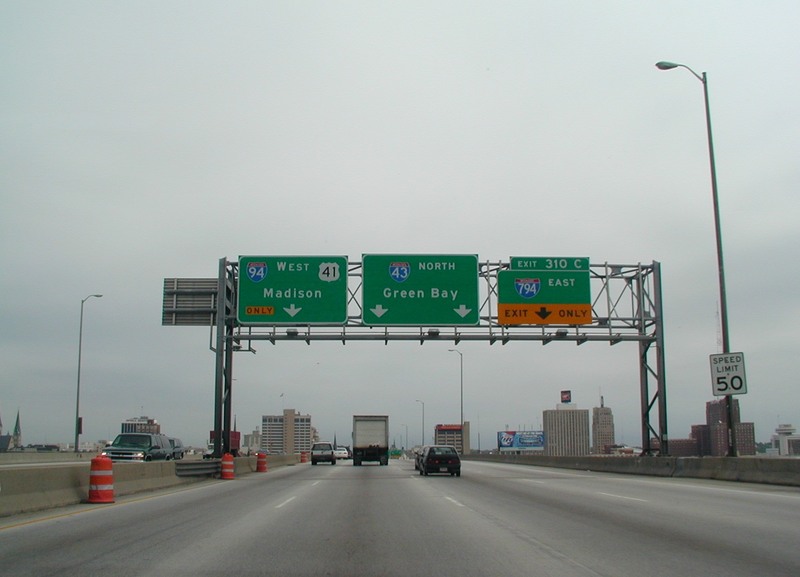 I-94 NB approaching I-43 and I-894 in Milwaukee. Coming up on the interchange. We're going to downtown Milwaukee. I can't believe that this wide open road is just 50 mph! And them Wisconsin cops love to pick on us Illinoisans. 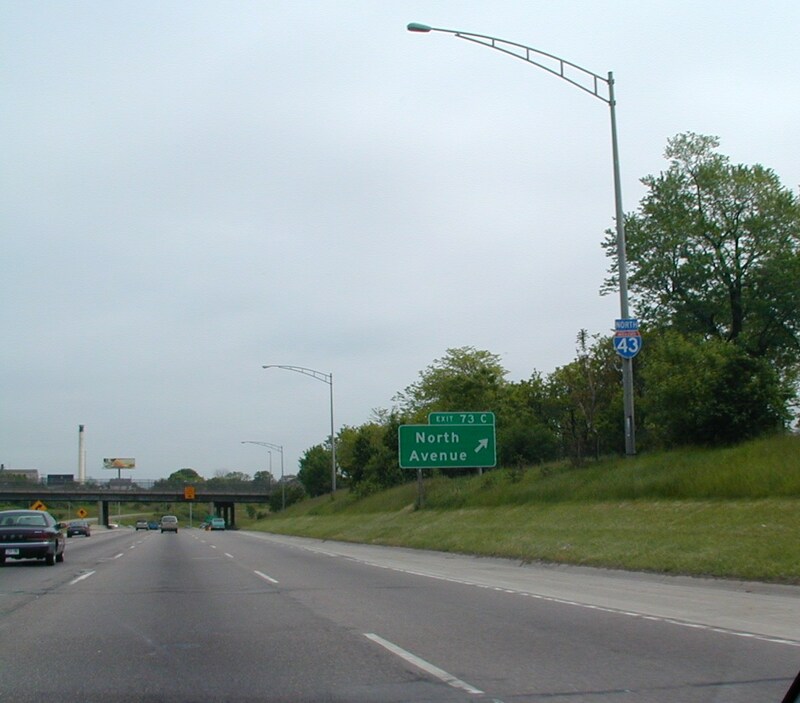 The Mitchell Street exit in Milwaukee on I-43/94 NB and US 41 NB. 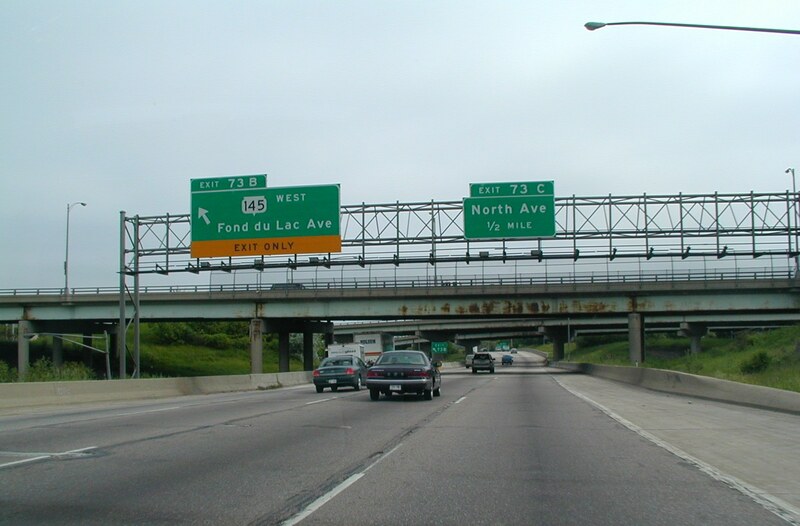 I-94 is about to leave us, and I-794 is about to begin. 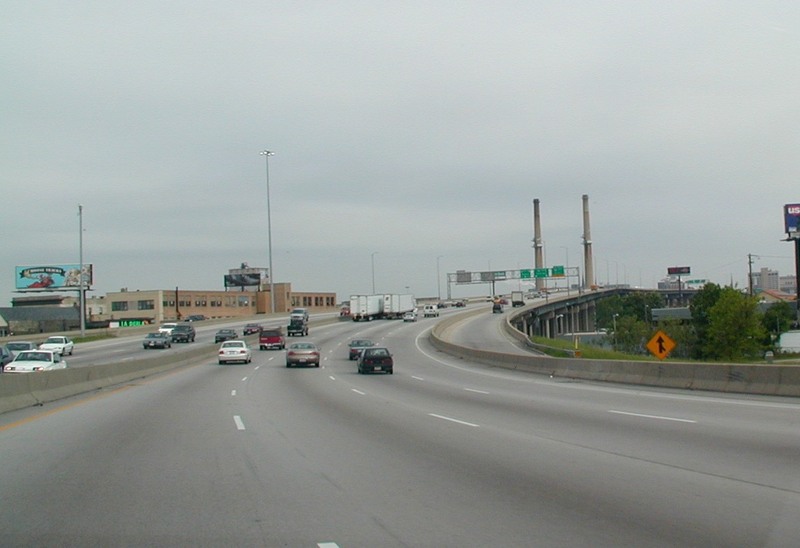 I-794 goes through downtown Milwaukee. Still on I-43/94 NB. 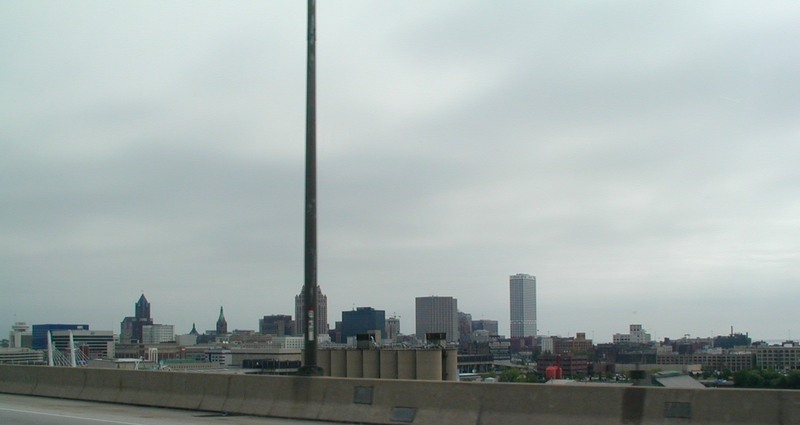 The Milwaukee skyline with a large pole sticking up in the middle of things. 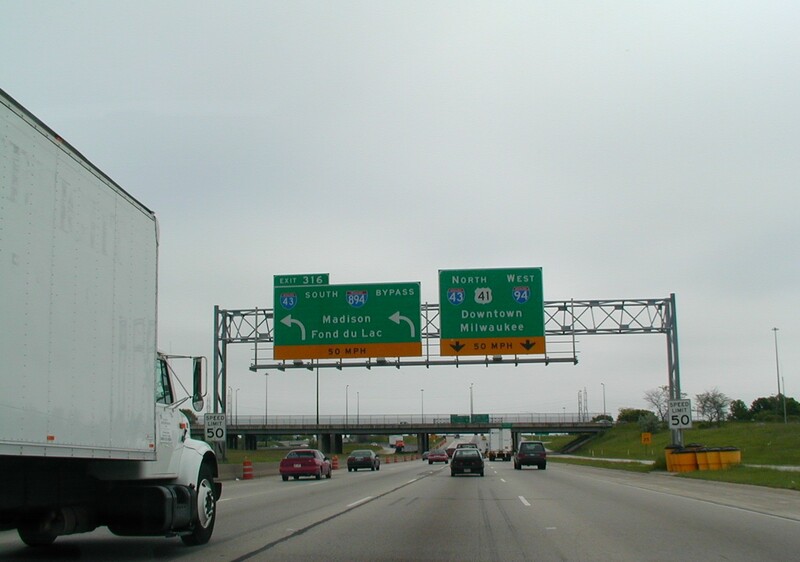 We're going on I-43 North for a while. 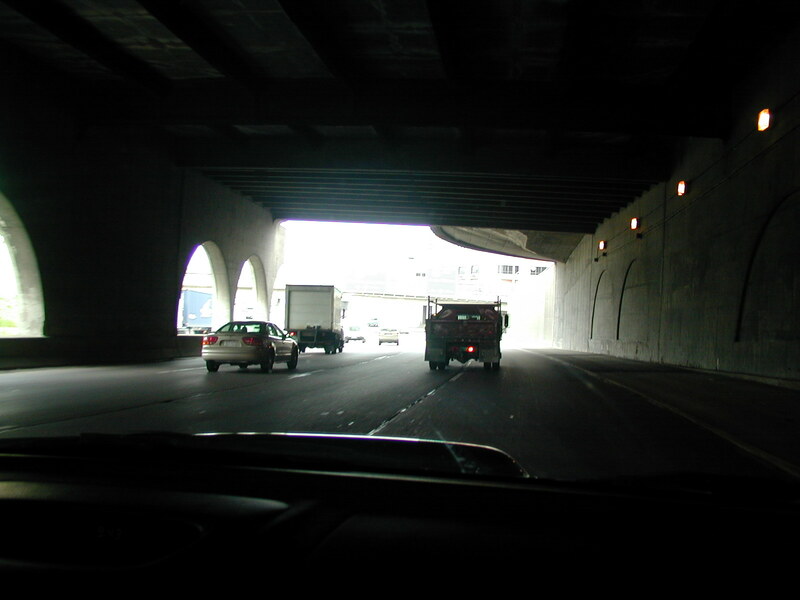 A tunnel on I-43. 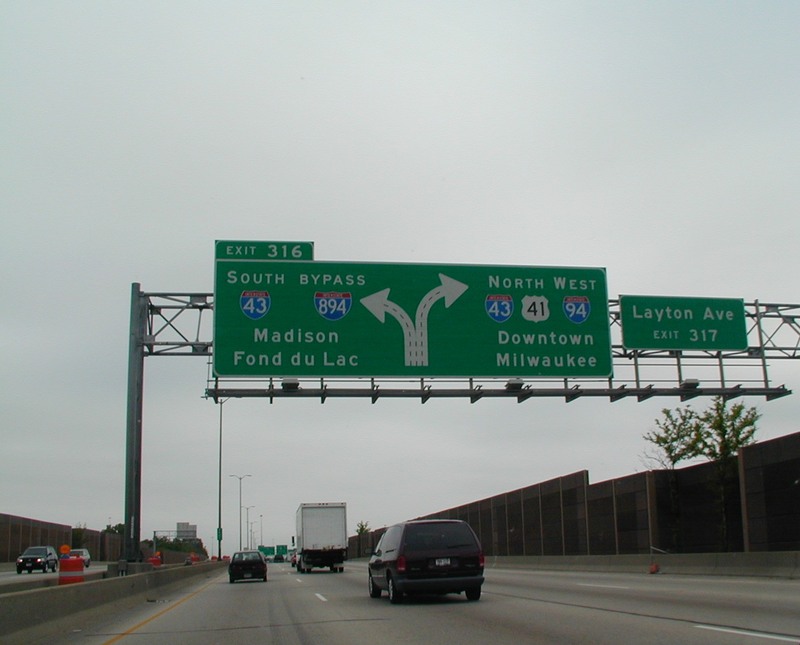 I-43 NB in Milwaukee. 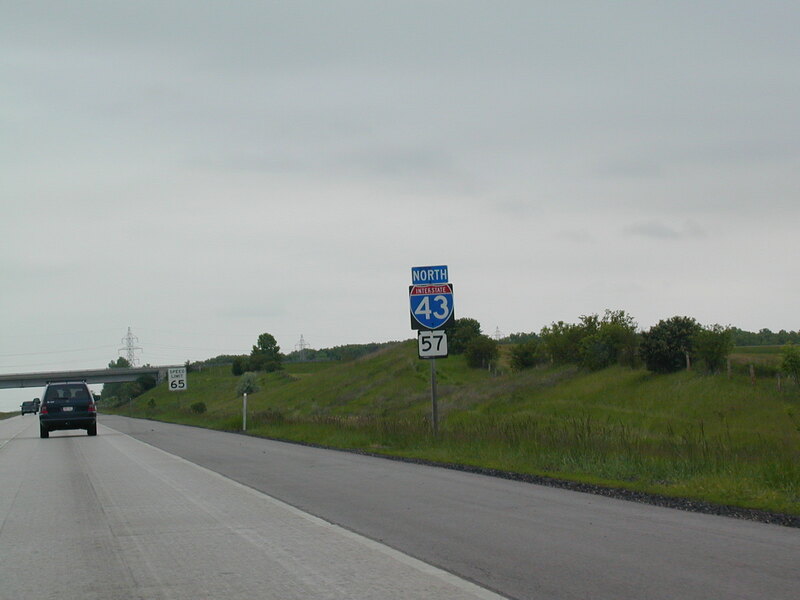 North I-43 shield. 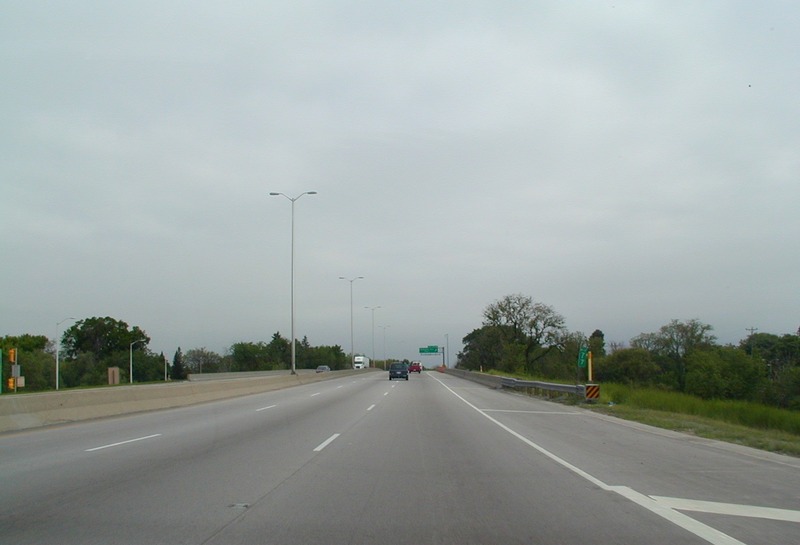 I-43 NB. Loopy sign for WI 100. 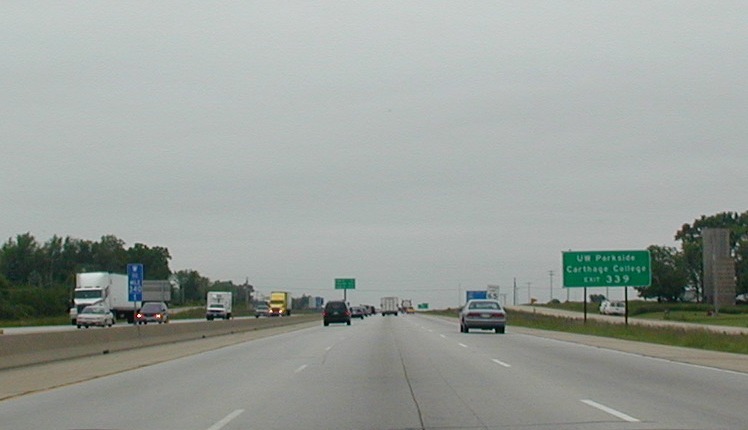 Rural area now on I-43. 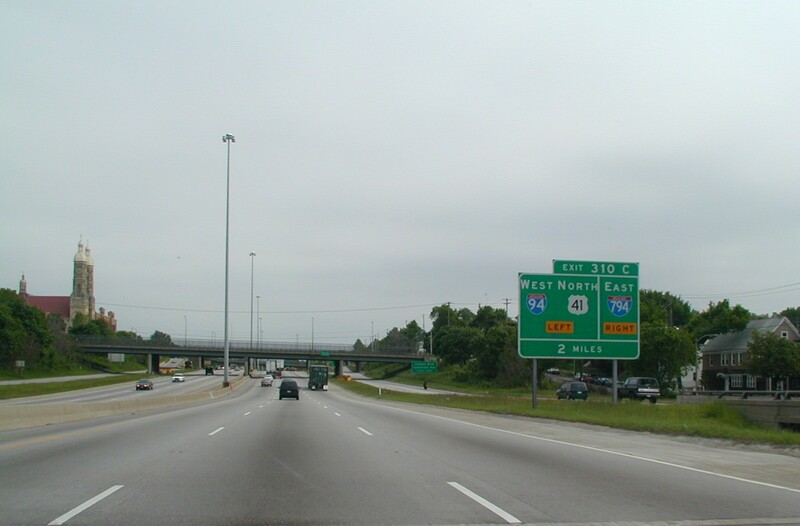 WI 57 hooks up with I-43. Whichever shall I take? 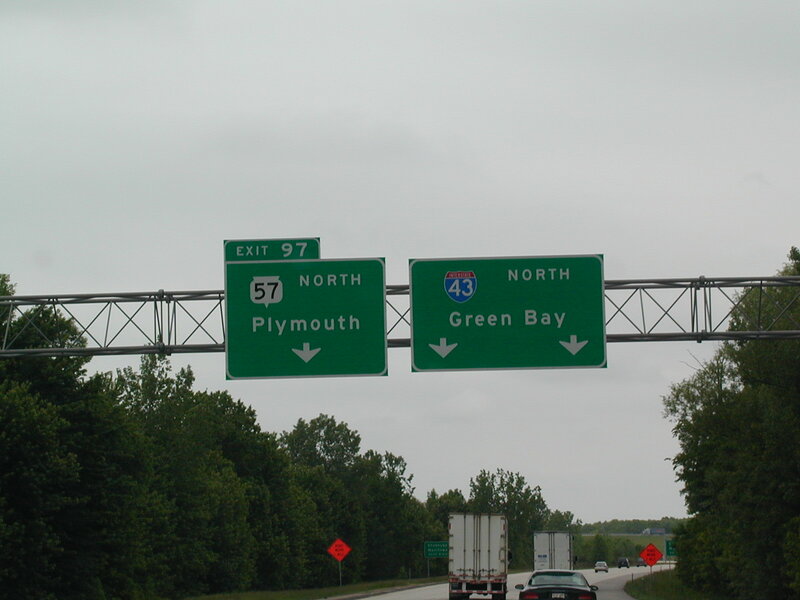 Well, I took I-43 to Sheboygan. 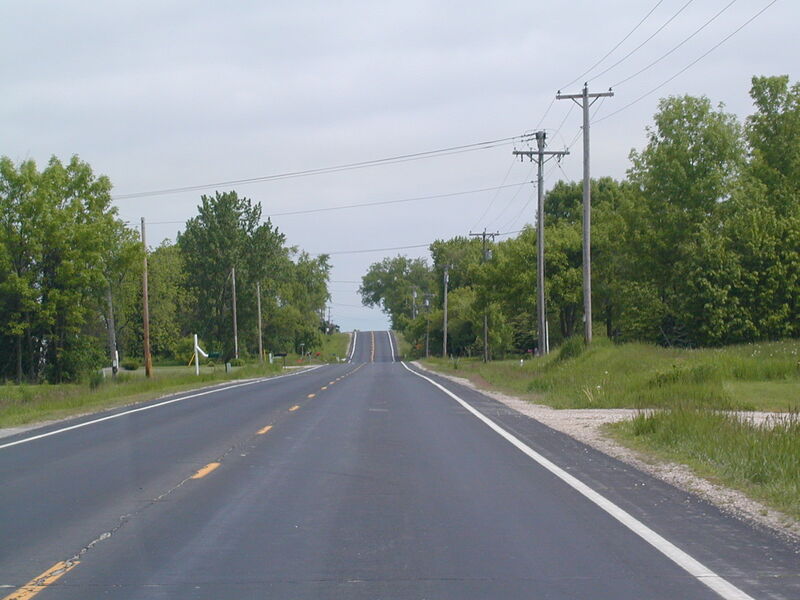 This is looking north on a rural county road. 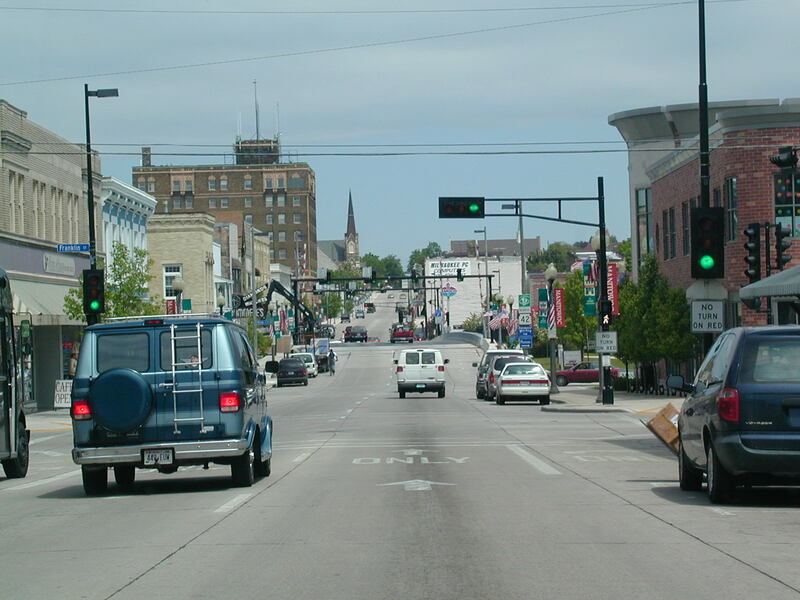 To Interstate Wisconsin 43. 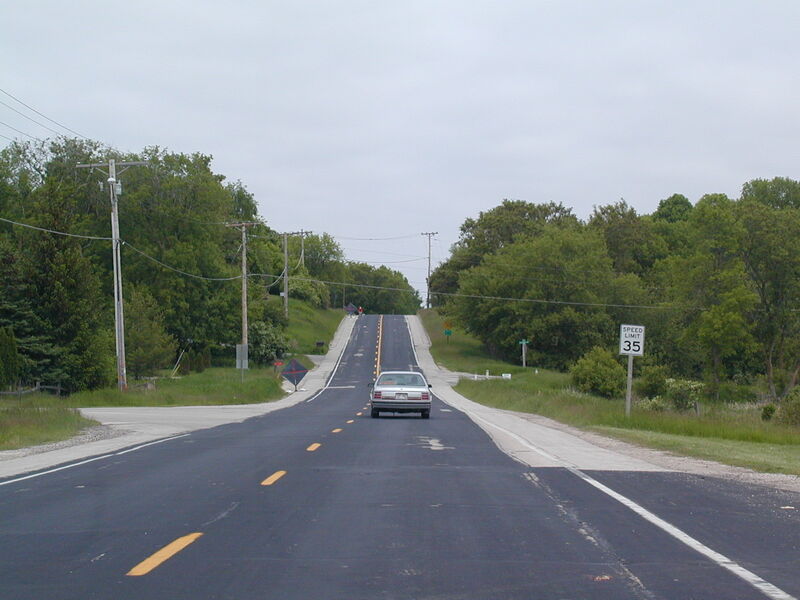 Entering Sheboygan on that county road. 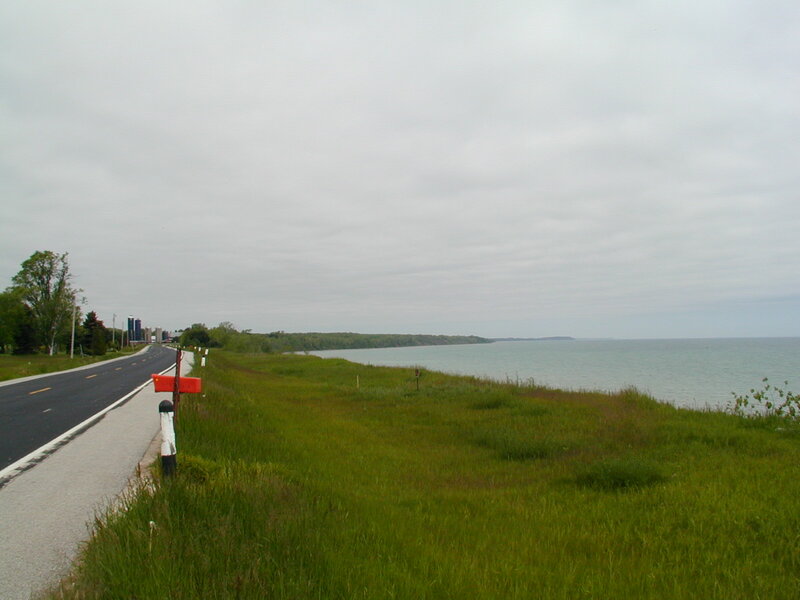 This road goes right up against Lake Michigan. See? There's the lake and there's the road. A pebbly beach. 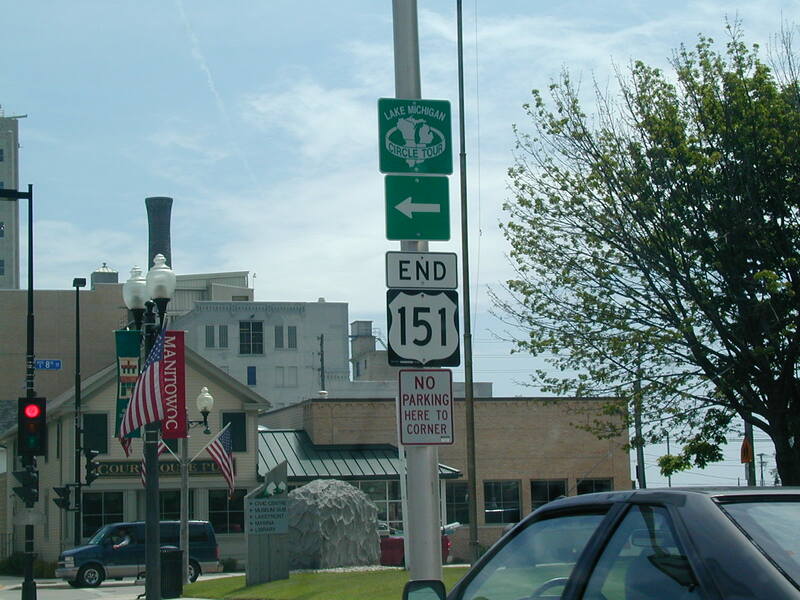 End US 151 in Manitowoc. 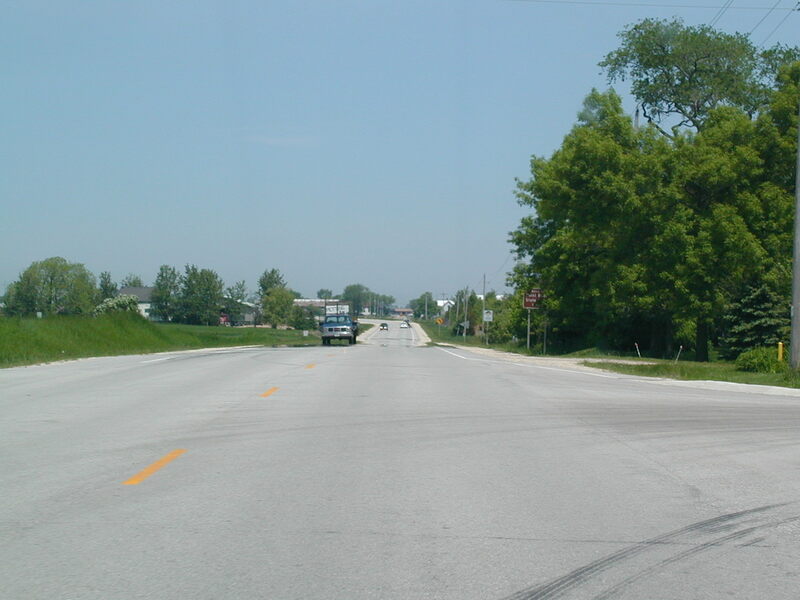 The southern end of this road is at I-80 west of Iowa City, IA. 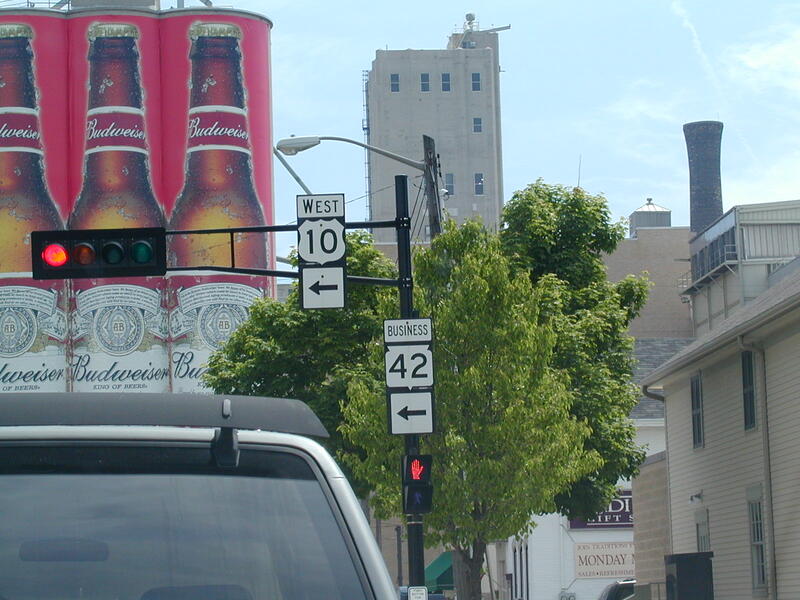 US 10 and Bus. 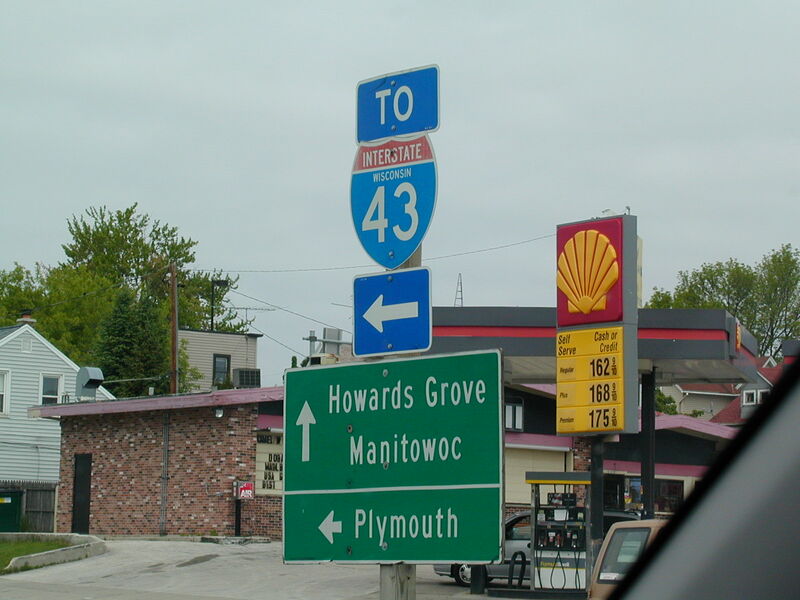 WI 42 in Manitowoc. 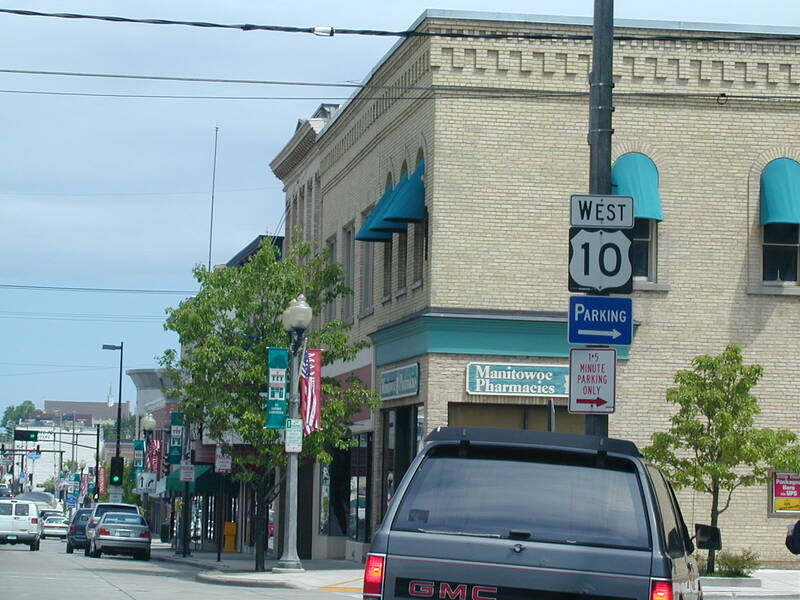 West US 10. 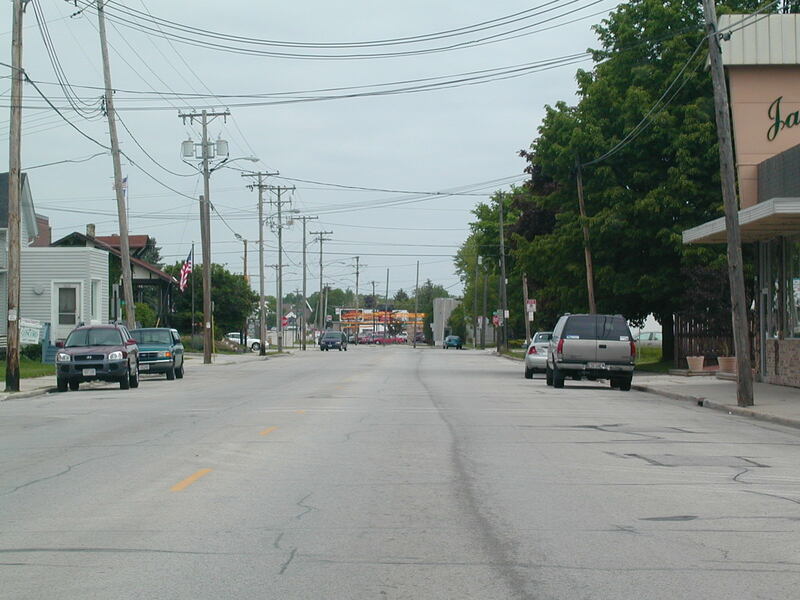 East US 10 hops a ferry to the other side of the lake to Ludington, MI. Now we're on WI 42 North. 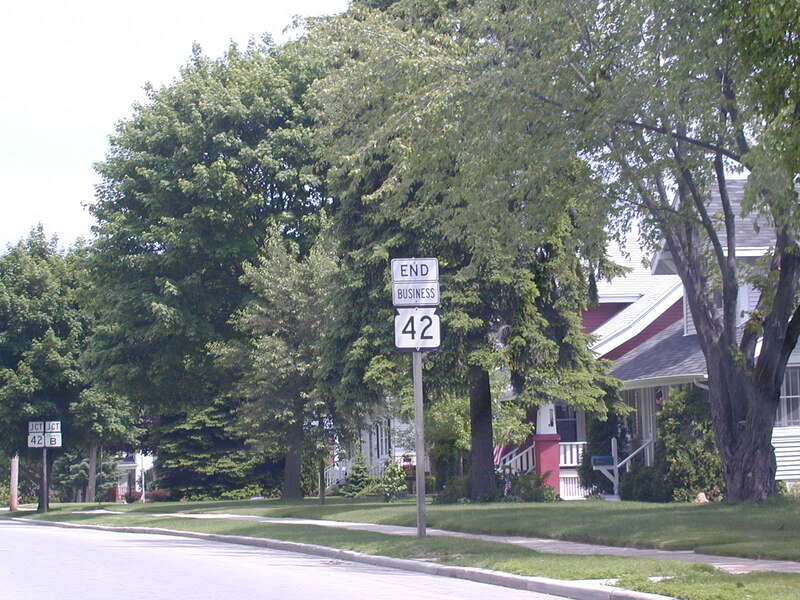 End Business WI 42. 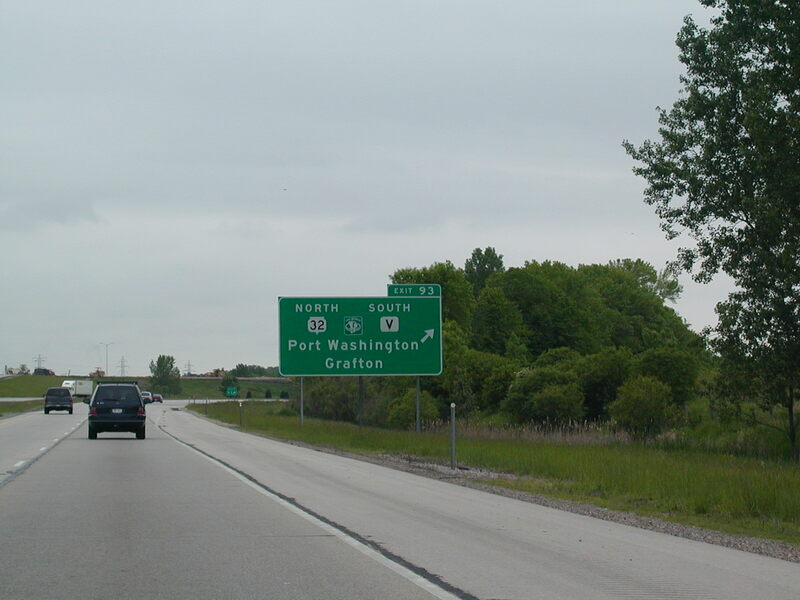 Getting back out into the boonies now on WI 42 North.